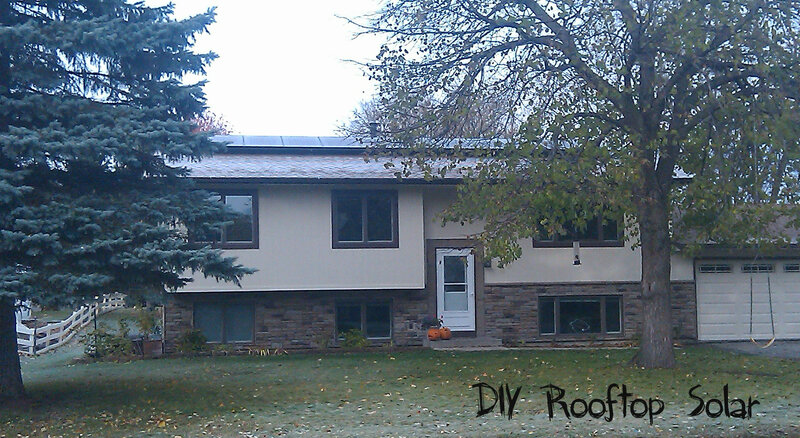 Solar Laminate: Quick & Easy Solar? For homeowners with metal roofs, Solar Laminate appears to be a quick, easy installation option. While DIYRooftopSolar has not installed this type of panel yet, we are very curious about the possibility. Especially when panels are being offered at less than 50 cents/watt. This pricing will likely not last long, but it inspired us at DIYRooftopSolar to do a little research. The cost savings of eliminating any roof mounting supports alone makes this solar option economically superior. So here’s your chance as a reader, have you had any experience with solar laminates? Happy New Years! On this day of celebration, I’m raising a glass to the decreasing cost of solar! 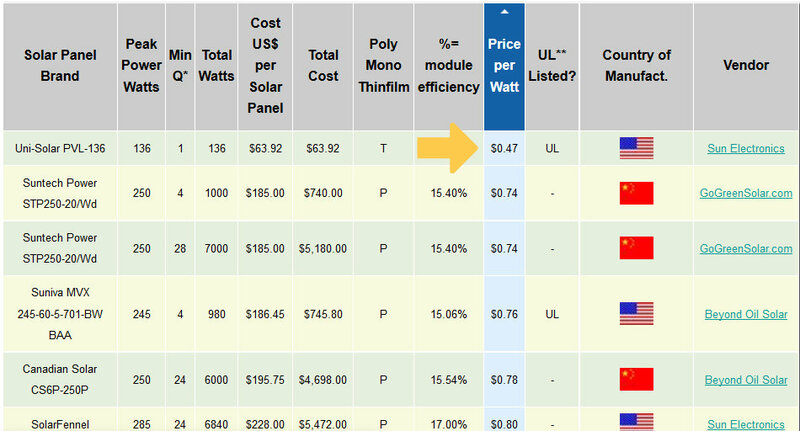 I just took a peek at my favorite Solar Panel Cost Comparison website and saw that prices have dropped again. Previously, I posted some sample pricing of a DIY solar panel kit using panels priced at 80 cents/watt. At that cost, a 1 kW system came out to $1.80/watt before any utility or government subsidies. The 10 cent/watt decrease in panel costs resulted in total system pricing of $1.70/watt ($7800/4.6 kW) before any utility or government subsidies or SREC payments. *Micro-Inverter and Mounting Hardware pricing quoted here and here. 1. My state doesn’t get enough sunlight to make solar worthwhile. As you can see, the entire United States is situated for good to great solar power production. Even more interesting, compare the map above to actual solar production by country and you will see that Germany currently leads the world even though it has less solar power potential than the USA. Sizing Your Solar Panel System and DIY Solar Kits for estimates on what solar panels will cost you. What If My Utility Company Doesn’t Offer A Rebate for possible credits that would lower the cost of solar panels. I may be biased here, but I think that solar panels can be installed in a way that not only blends in with your home, but can actually enhance its appearance. Our home’s solar panels were installed flush with the roof and most people do not even realize that they are there. 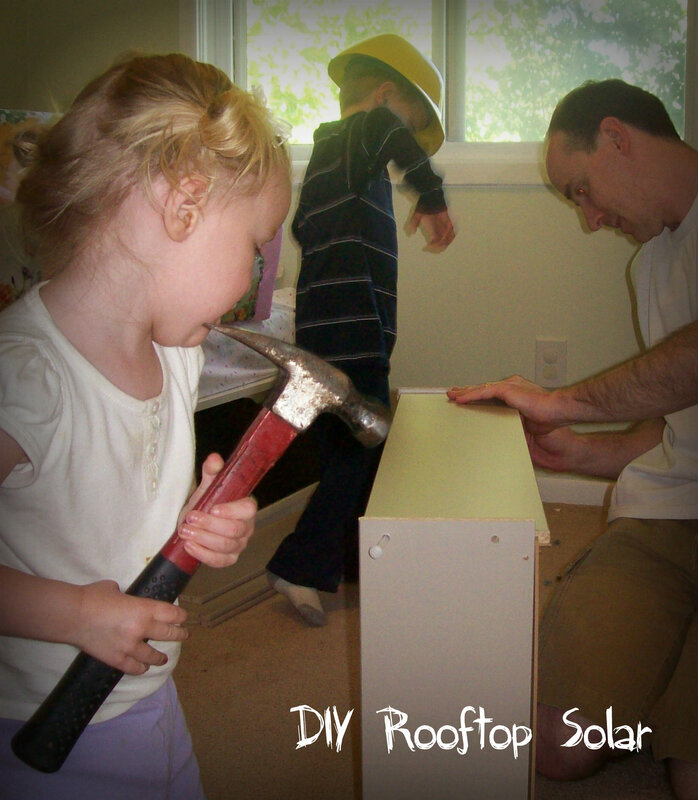 There are a lot of great videos available to help out with your solar panel installation. We didn’t end up making any videos ourselves during our projects, but we watched videos like these when learning how to install the mounting hardware, panels and inverters. Building a good relationship with your city’s permit office and inspectors can be very helpful when planning and executing your PV solar panel system. Visiting the city permit office early in the process allowed us a chance to ask questions and understand what the inspectors would be looking for. An interesting article appeared in the local newspaper this week, “Solar Power For The Do-It-Yourselfer”. The article profiled a company, SolarPod, that sells a solar kit that includes 4 PV solar panels, mounting hardware and micro-inverters. The kit will produce about 1kW of electricity for a price tag of $4000 and are designed for flat roofs. What If I’m Not “Handy”? If your household is anything like mine (read: cheap), you’re always looking for ways to save money and try out your DIY skills. 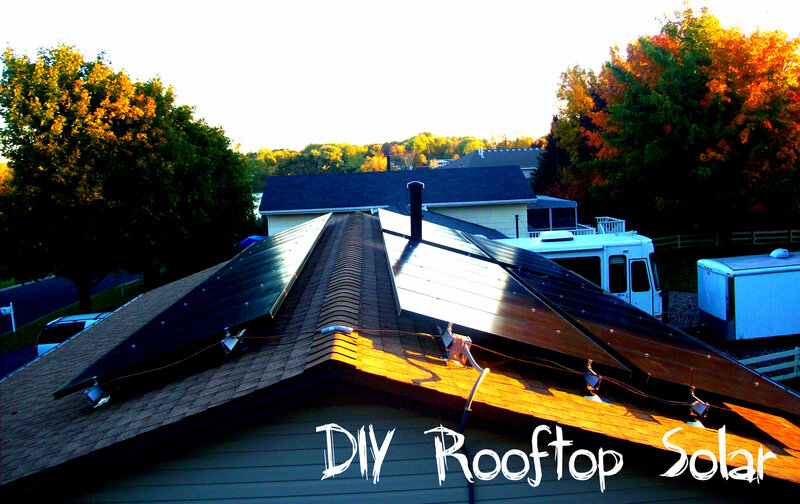 Enter your email address to follow DIY Rooftop Solar and receive notifications of new posts by email. How Much Electricity Does Our System Produce? 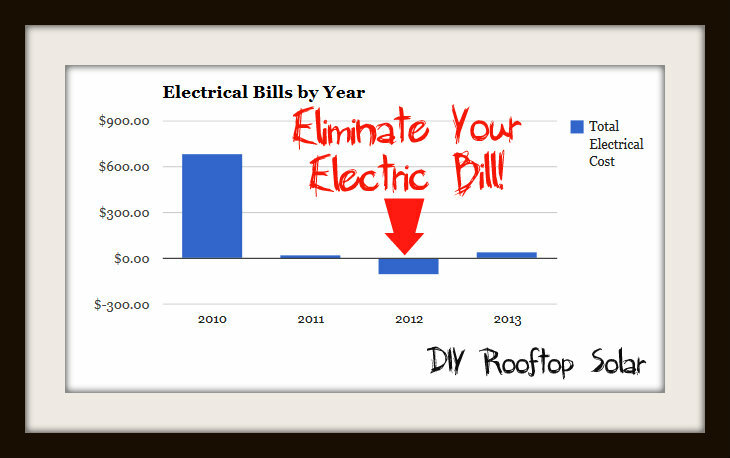 What If My Utility Company Doesn’t Offer A Rebate? What Will Solar Panels Cost Me?